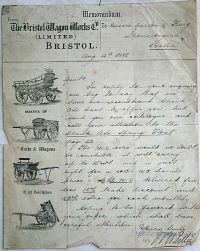 Before the coming of the Motor Car most businesses had to rely on the Horse and Cart for transport - Brunel brought the railway from Bristol to Exeter in 1844 and the London and South Western reached Exeter in 1860. Up until then transport was by packhorse and horse and cart. As the railways opened up the county so goods were able to be moved around more easily. Lord Portsmouth conveniently arranged for a station at Eggesford so many of the products that were made by the Foundry for Eggesford House (including gates, railings and stoves and ironwork for the extensive stables) travelled most of the way by train - as did the staff who installed some of the equipment. Elsewhere in the county workmen and equipment went by train and were met at the nearest station and transported to their place of work by the buyer or his staff. The Company owned a pony and trap as there is a reference to it being sent to Powderham Castle at Kenton and we know from written evidence that the 'Old Horse' died in July 1880 and was replaced by a 'New Horse' in September. 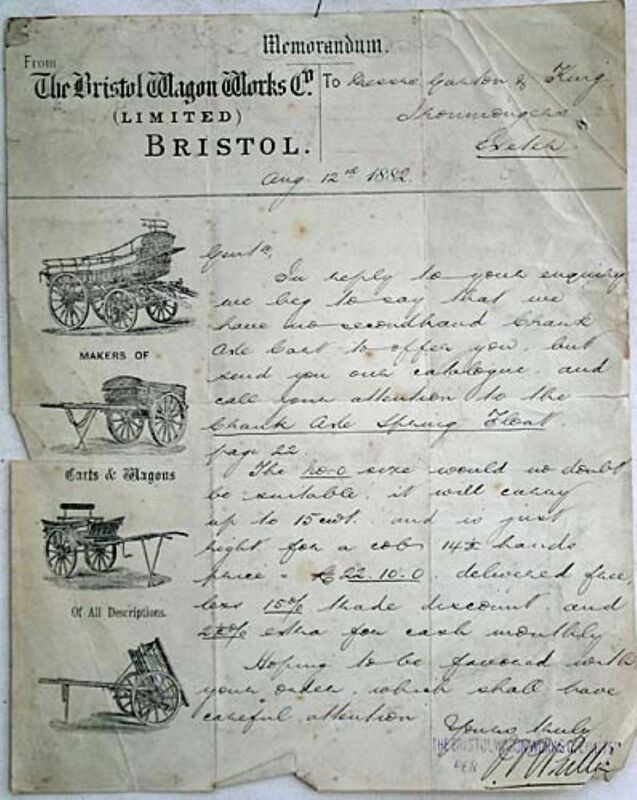 Garton & King, ever a firm to save a bob or two wrote to the well known Bristol Wagon Works on the 12th August 1882 enquiring after second hand wagons. We will probably never know whether they became a customer of the Bristol company. 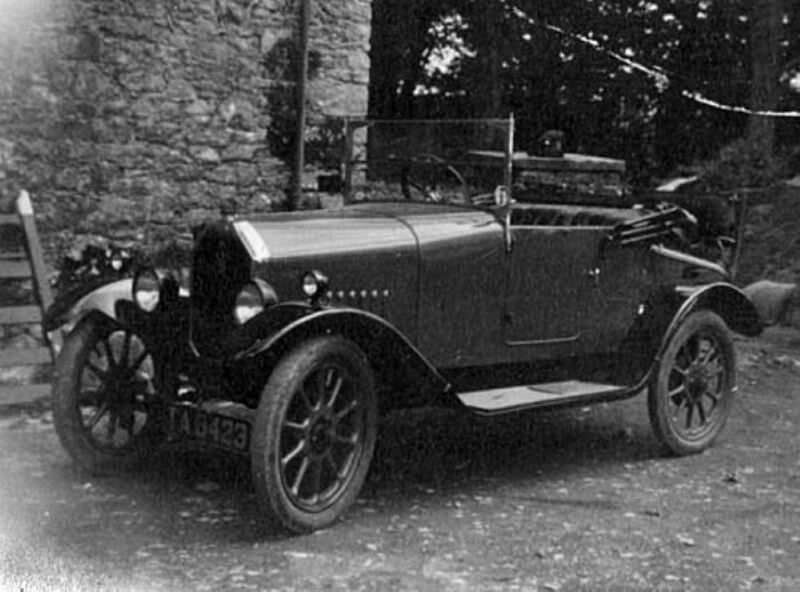 One of the earliest motor cars owned by the company was TA 8423 - I do not recognise the make. 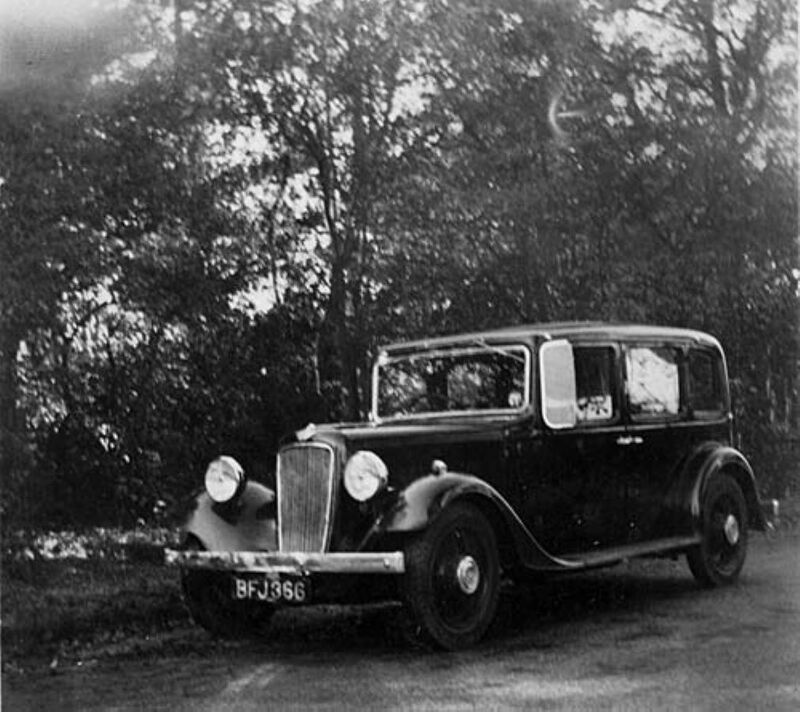 Mr A.B.Green of Taylor & Bodley at one time owned the vehicle shown with a full compliment of passengers at Sticklepath. From left to right is Mr A.B. Green, Mr Edgar Holladay (my grandfather) possibly Alec Holladay stood on the running board, Miss M Green and Mrs Green. 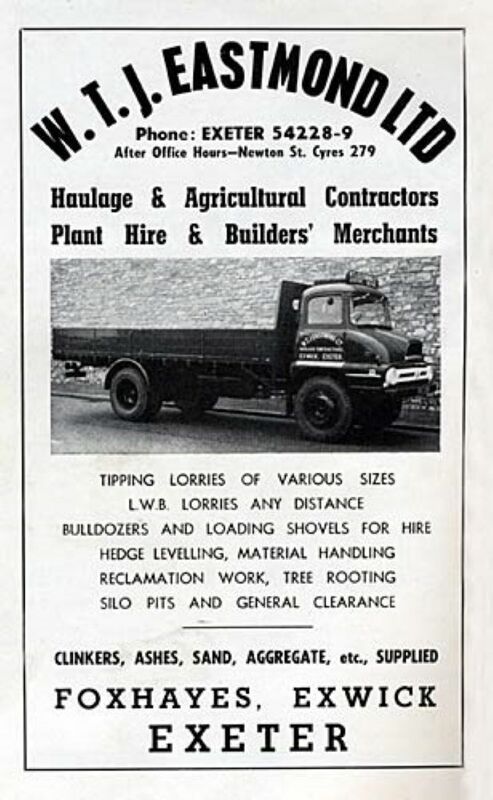 Some years later the company owned the impressive looking Austin, BFJ 366. 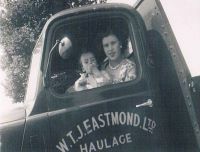 Eastmond's–Who hauled products from the new factory at Tan Lane just before and during the war I do not know. I remember the regular driver from W.T.J. Eastmond, Exwick who, in the late 40s, 50s and possibly 60s were the regular haulage contractor and I believe when this firm ceased trading the contract passed to BRS Contracts with the same driver. One of their adverts I have included in this section. 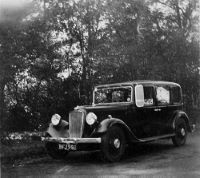 June 2018–Additional information has been discovered and help from a Linda Hogan whose dad was Charlie Orchard, the regular Driver on Eastmond for Garton & King in the post war years. She has come up with a picture of Charlie (insert) and her mother in the cab with Linda’s older brother as a child. The two images clearly show the signwriting on the cab door and are dated 1957. 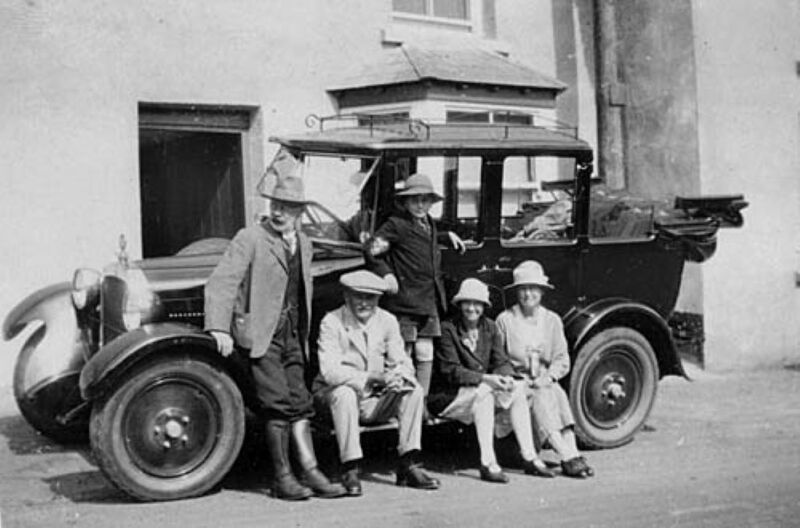 The family at that time lived in Merrivale Road in St Thomas, Exeter. The person with the glasses is unknown, it may be another Eastmonds driver – perhaps someone will recognise him. 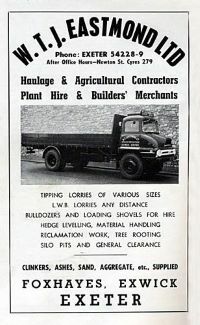 Eastmond Haulage was purchased by the Glendinning Group in Asburton, owners of Linhale Quarry. It is understood that they needed to acquire additional vehicles to cope with the extra demand placed on the company at the time the new Exeter to Plymouth Devon Expressway (the A38 to you and I) was being constructed in the 1970s when many of the existing bypasses were being linked together. The company W.T.J. 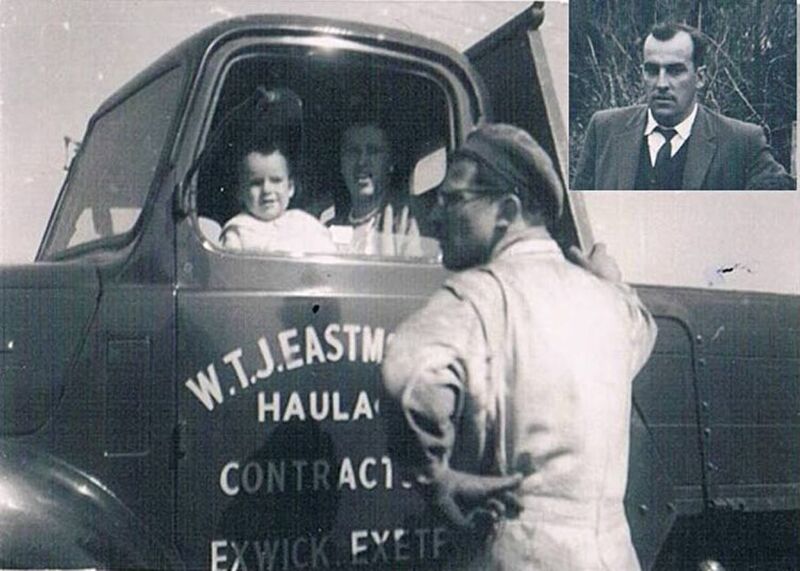 Eastmond (Exeter’66) Ltd still exists to this day, but only on paper. 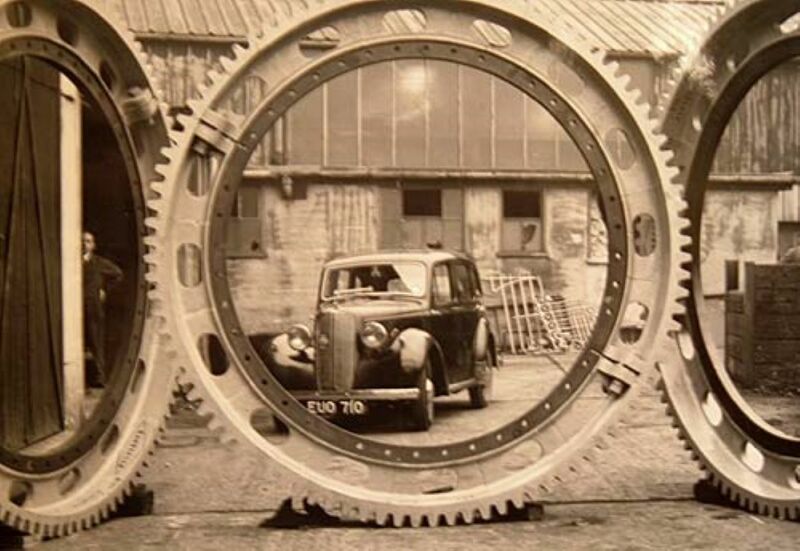 Gears–The sepia coloured photograph, apart from showing another vehicle that might have belonged to the company shows an often reproduced picture. In explanation here is a brief description of the gears. "16th October 1953. These three gear rings for a Cement Mill in Canada are about to start their 9,000 mile journey through the Panama Canal to British Columbia. 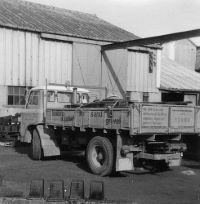 A fourth wheel was despatched about five weeks previously to meet an urgent demand. They are cast in a special steel iron mix to withstand the abrasive conditions in which they work, they measure 9 feet in diameter, 1' 2" wide with 96 teeth and each weighs about three tons (none of your metric tonnes!) The wheels are cast in two halves and are bolted together." 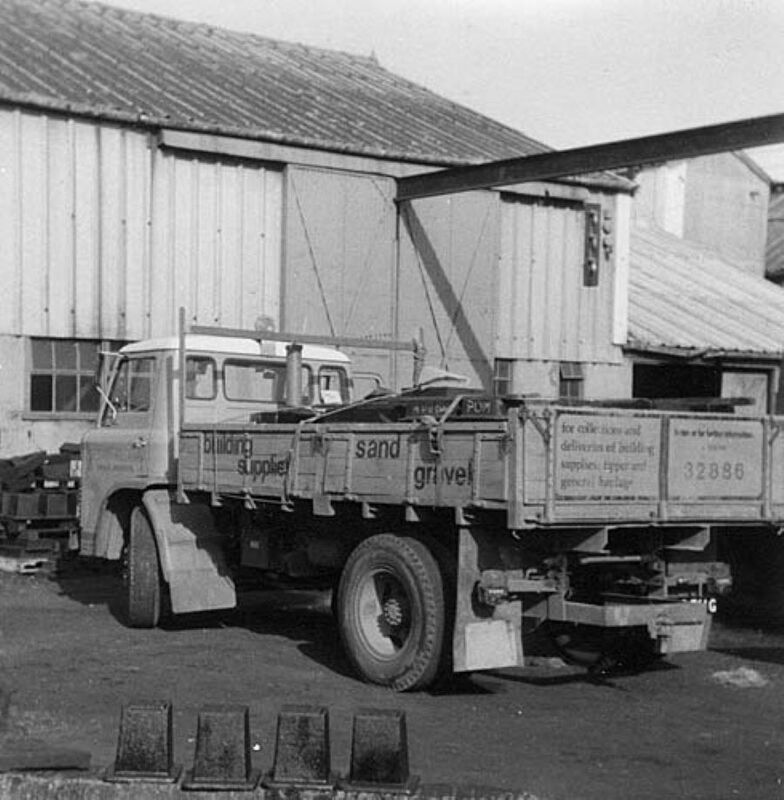 Last delivery–For a while I operated a 7 ton tipper in the Exeter Area and the final photo shows my vehicle by the loading gantry at Tan Lane with the last delivery from the foundry, destination South West Water at Plymouth, the picture was taken in September 1979.